Utterly compelling, moving and very very funny, The Mystery of Mercy Close is unlike any novel you’ve ever read and Helen Walsh – courageous, vulnerable and wasp-tongued – is the perfect heroine for our times. 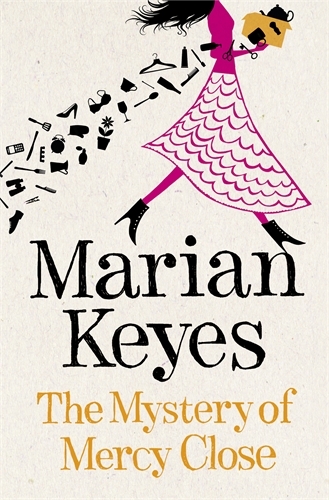 Who's looking forward to Marian Keyes' latest novel, The Mystery of Mercy Close? Me, me me! I adore Marian Keyes (not only does she write brilliant novels, she bakes fab cakes too). I'm especially excited because this will be another Walsh family novel. So come on, September. Hurry up. We're all waiting for you. Hi there! I'm your newest follower. 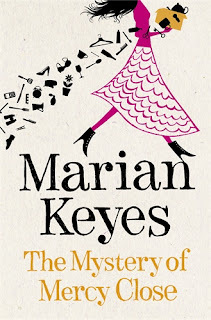 I'm also looking forward to Marian Keyes's new book! I'm crazy about her novels and my favorite is Anybody Out There. Love the Walsh family! The Walsh family are fab. They're all completely crazy but very funny. I can't wait to read the new novel as well! Less than a month for us to wait now!